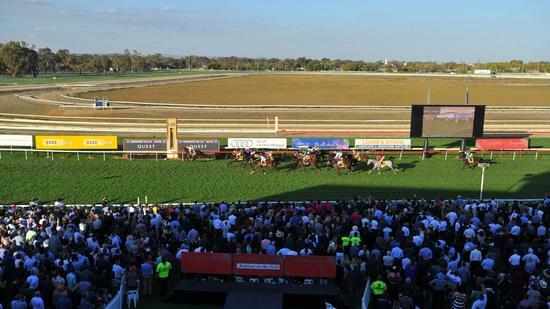 Trainer Craig Widdison will supply one runner in the form of Northkape to the Wagga race meeting on Thursday, February 22 with fine conditions forecast racing on a good (4), with seven events to be competed upon. The single stable runner Northkape will enter in race 4 in the Wagga Windstorm over a thousand metres handicap with Rebeka Prest aboard the five-year-old mare jumping from barrier 2 at odds of $27. Last time out Northkape finished seven of 10 at Wodonga arriving 5.2 lengths behind the winner on that occasion, she has won once this prep at Ballarat, though that was five runs back and has been around midfield, you’d expect her to be right on the speed and hopefully she can spring back to some form in this. Best of luck to all connections with their runner and Wagga on Thursday.